Guinea Bissau will battle Nigeria’s Flying Eagles in the next stage of the Total U20 Africa Cup of Nations qualifiers after eliminating Sierra Leone 1-0 on aggregate at the Bo Stadium on Saturday. Host Shooting Stars failed to win at home, giving Coach Emiliano Te’s men the chance to face Nigeria’s Flying Eagles in May this year in the Race to Niger 2019. Italy’s Sampdoria striker João Cláudio Gomes Ricciulli scored the only goal for the visitors in the first leg in Bissau at the 24 de Setembro Stadium. The skipper was not available today but they managed to hold on to a goalless in Sierra Leone. This is the fifth defeat in recent years for Shooting Stars and has been eliminated from this competition mostly at the preliminary stage. 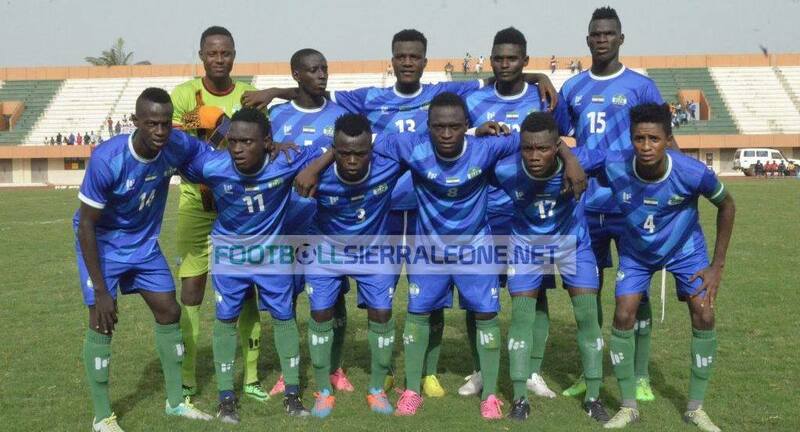 The Gambia was the last to eliminated Sierra Leon after the young Scorpions recorded a convincing 4-0 aggregate over Shooting Stars in the two legs in the race to Rwanda in 2017. The young Djurtinhos will host the Flying Eagles in the next round clash on May 11, 12 or 13 with the return leg in Nigeria a week later.